Do you want to develop Young Wicket keepers? As part of the Nottinghamshire Cricket Board and Notts Coaches Association commitment to provide additional development opportunities for current qualified cricket coaches, we will be running several Coach Development Workshops. These Workshops will aim to give qualified Level 2 and above coaches with further Technical knowledge and also develop a range of coaching skills. Who better to learn about the art of wicket keeping than from a Notts legend? 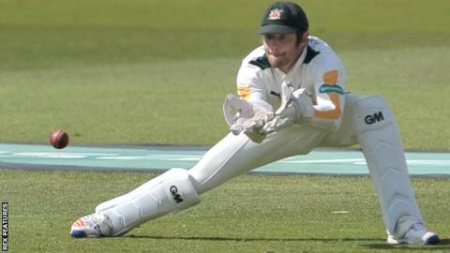 Chris Read was considered by many to be one the finest wicket keeper in English cricket, taking over 1000 dismissals as a wicketkeeper and scored over 16000 first class runs in his 20-year first class career, which also included playing for England 52 times. He captained Nottinghamshire to the One Day Cup victory in 2017 as well as to victory in the Championship in 2010. This workshop is free for any Notts ECB Coaches Association members (use discount code: ECBCA 18/19) and £10 per head for non-members. This course is for qualified cricket coaches only. Places will be limited and reserved on a first come first served basis. Coaches can reserve a place by booking online by 5pm on Friday 25th January 2019. Don't miss it, to book click here. Can’t make it? Look out for announcements of further workshops coming soon.